Offset lithography. Features poems and prose from a number of writers, including Gabriel Weisz Carrington, John Digby, Janine Pommy Vega, Gary Young, Henri Michaux, and many others. 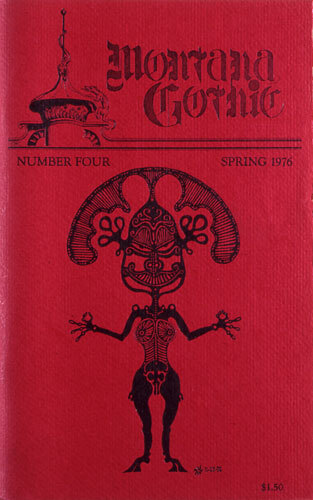 Text accompanied by graphics by Frank Dugan, Bruce Lee, Dirk Lee, and Pablo Weisz. Letterpress red cover features an illustration by Russell Smith.